Get the thorough clean that’ll free your sleeping area from discomfort and you from the itchiness that bed bugs and dust mites can cause. This service for mattress cleaning in Wigan uses the latest technology in the hands of specially trained staff to turn your bed into a pest-free paradise that’s ready to embrace you at the end of a long hard day. Though generally harmless, bed bugs and dust mites can exacerbate skin conditions and have other unpleasant effects – and with six million of them being in any average bed, it’s hard to them avoid them! Don’t let the bed bugs bite tonight, with this efficient bed bug extermination option. Fill in our booking form, use our chat facility, or simply dial 019 4256 2008 today to get a free quote on the mattress cleaning you need in Wigan. You can set up your appointment at any time of the day or night. A free quote whenever you call! 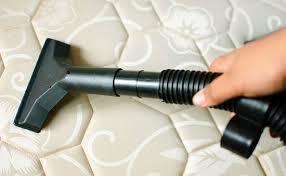 You’ll see our mattress cleaners rely on the most modern technology in all of their work. The device we use utilises ultraviolet rays to kill dust mites, spores and bacteria, and then powerful vibration and suction to remove all of the debris thus created. It’s a completely non-invasive procedure that uses no liquid detergents or other chemicals, meaning you can bed down immediately after your professional mattress cleaning services are complete if you want to! You’ll find that our equipment is completely safe to use on all colours and types of fabrics, and that any untraceable odours – usually caused by bacteria – are neutralised. All you need to do is give us a call, tell us how many mattresses you have, their sizes, and where you’re based in Wigan, and our cleaners will get to you when it’s most convenient. The state-of-the-art equipment we provide is all included in the cost of your service, and it’s completely portable so don’t worry if your mattresses are hiding several storeys up! It’s a swift and efficient process that won’t leave you hanging around – in fact you don’t even need to remove your mattress from the bed! 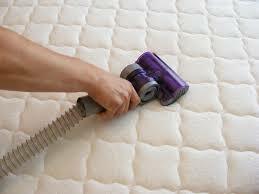 All of the people on our staff have received specialist training the use of our highly effective equipment, and all of the expert mattress cleaning services you book from us come with complete insurance cover for your peace of mind.